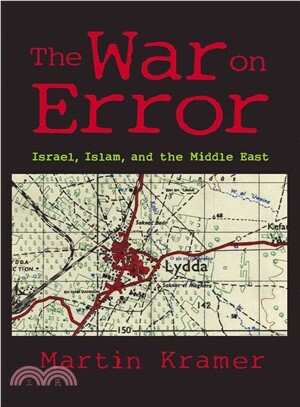 In 'The War on Error', historian and political analyst Martin Kramer presents a series of case studies, some based on pathfinding research and others on provocative analysis, that correct misinformation clouding the public's understanding of the Middle East. He also offers a forensic exploration of how misinformation arises and becomes "fact." The book is divided into five themes: Orientalism and Middle Eastern studies, a prime casualty of the culture wars; Islamism, massively misrepresented by apologists; Arab politics, a generator of disappointing surprises; Israeli history, manipulated by reckless revisionists; and American Jews and Israel, the subject of irrational fantasies. Kramer shows how error permeates the debate over each of these themes, creating distorted images that cause policy failures. Kramer approaches questions in the spirit of a relentless fact-checker. Did Israeli troops massacre Palestinian Arabs in Lydda in July 1948? Was the bestseller 'Exodus' hatched by an advertising executive? Did Martin Luther King, Jr., describe anti-Zionism as antisemitism? Did a major post-9/11 documentary film deliberately distort the history of Islam? Did Israel push the United States into the Iraq War? Kramer also questions paradigms—the "Arab Spring," the map of the Middle East, and linkage. Along the way, he amasses new evidence, exposes carelessness, and provides definitive answers.